Stephen M. Krant, M.D., F.A.C.S is proud to welcome you to SK Clinic! The cosmetic surgeon team at SK Clinic of La Jolla, outside San Diego, includes professionals each with extensive cosmetic and reconstructive surgery and nursing experience. Together with Dr. Stephen Krant, this is a cosmetic and reconstructive surgical team in San Diego you can trust for the results you desire. Dr. Stephen Krant, medical director and respected cosmetic surgeon at SK Clinic in the San Diego area, is a graduate of Emory University and the Yale University School of Medicine. He completed his general surgery residency at Rush-Presbyterian-St. Luke’s Medical Center, Chicago. From there he returned to Yale New Haven Hospital where he completed an outstanding residency in reconstructive and cosmetic surgery..
Dr. Stephen Krant opened SK Clinic, the La Jolla Plastic and Reconstructive Surgery Center, in 1976. He is board certified by the American Board of Plastic Surgery, is a member of the American Society of Plastic Surgeons (ASPS) and the American Society for Aesthetic Plastic Surgery (ASAPS), and he is a Fellow of the American College of Surgeons (F.A.C.S.). 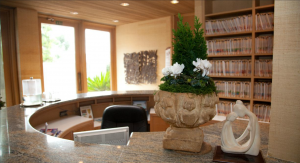 He has performed thousands reconstructive and cosmetic surgery procedures in San Diego.